F Faith and Find a Bible verse to stand on. 1. Faith. 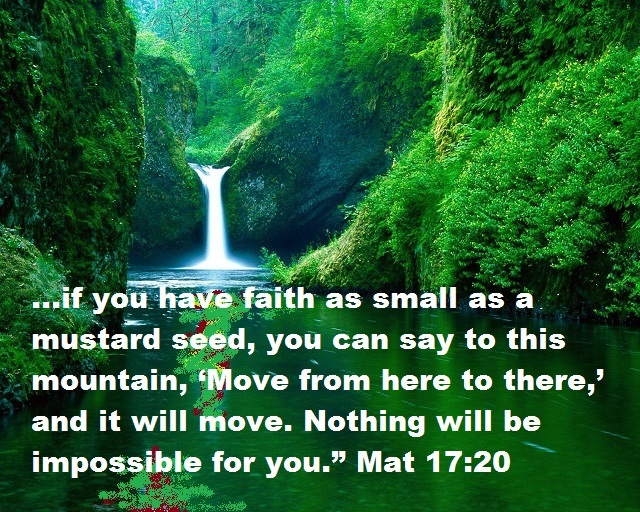 Have faith when you pray and Find a Bible verse to stand on. Find scriptures that promise you an answer to your prayer. It is a good idea to memorize a verse or two of those promises. Many times you will not find a specific verse that promises you what you are asking. That is okay. Just have faith and pray for it. 2. Ask God for it in faith. Matthew 7:8 For everyone who asks receives; he who seeks finds; and to him who knocks, the door will be opened. 3. Imagine the answer to prayer in your mind. Imagine it like you already have it. If you are praying for a relationship to get better, imagine that it is. Your optimistic attitude will help change the relationship. That is the way God created faith. On the other hand, being pessimistic, lacking faith, and thinking about negative things, will cause problems in the relationship. When a person thinks about the negatives of the relationship, he will be more likely to get angry or do other things that are not good for the relationship. I have seen this happen many times in my own life and in the lives of others. It is important to imagine you have already been given the answer to your prayer, because if you have faith and you pray in God’s will, you do already have the answer. I will explain this more in the chapter on Daniel. 4. Thank God for it. Next FAITH part 2 (Continued from yesterday). photographers may miss an instant while fumbling around in Manual Mode. You also need to practice poses in your own time before your photo session begins.